You cannot beat this location! It is minutes to University Circle, Wade Park VA Hospital, University Hospitals and Cleveland Clinic. Its also one block to Coventry and all of the great restaurants and shops. 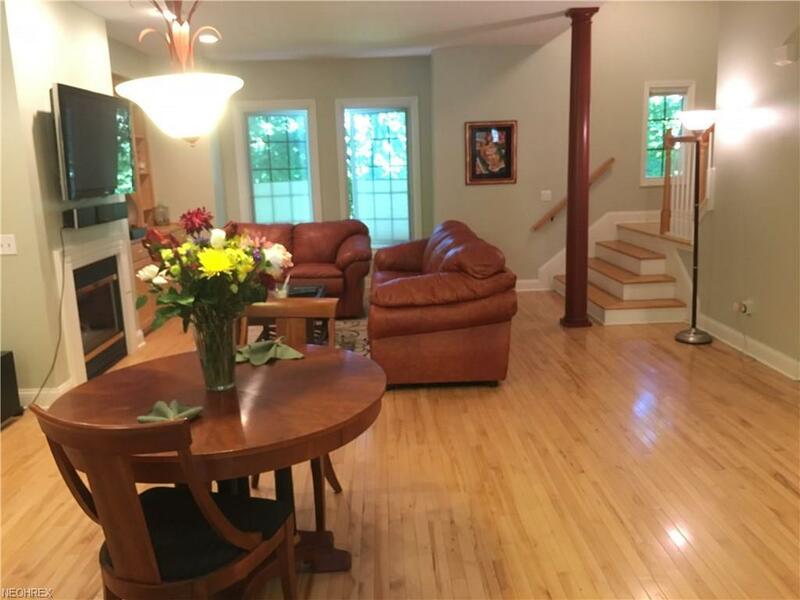 The main floor is a great open space for entertaining! 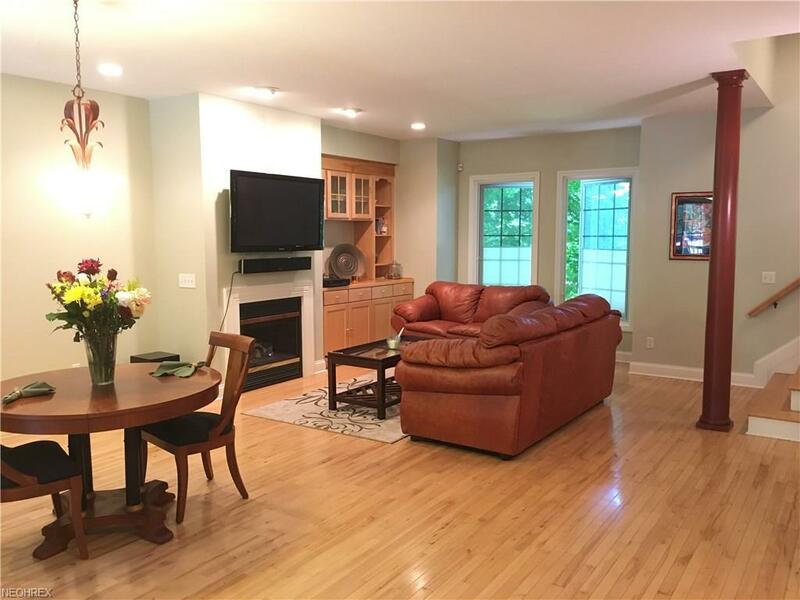 The living room has a gas fireplace with built-ins, beautiful hardwood floors throughout. Kitchen boasts granite and stainless steel, with a great deck, also freshly painted, ideal for your grill. Interior is freshly painted with new carpet on stairs. There are 2 spacious bedrooms, with potential for a third. The master bath has double vanity with granite, jet tub, and tiled walk in shower. One level up is a magnificent surprise with a bright spacious bonus room, new Fujitsu A/C unit installed June 2018, and French doors opening to a private balcony overlooking the city skyline. The top floor bonus room makes a great bedroom, office, or family room. The possibilities are endless! 2 car garage is attached with entry into lower level workout/ mud room. This level is extremely versatile as well. High quality Pella windows throughout, with 10 yr warranty. 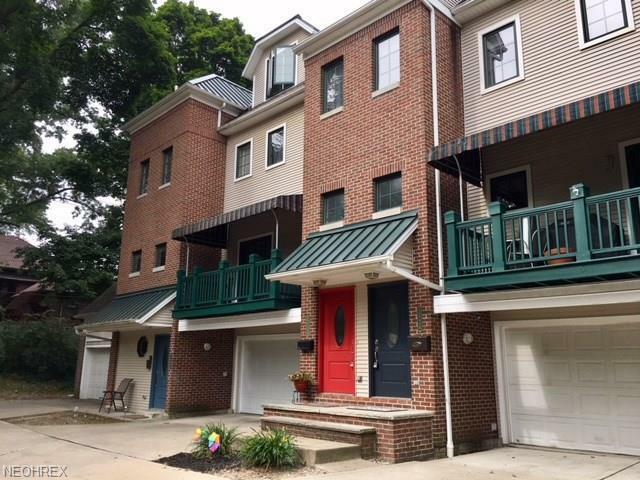 This beautifully maintained townhouse is move in ready!